A Speedy Course of Business Chinese — Do business easily with Chinese people. With the development of Sino-foreign trade, language communication becomes more and more important. This multimedia software can satisfy the needs of Chinese learners. 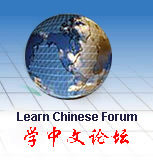 This set of teaching material is compiled by Chinese teaching experts. Applying the most advanced technology, it combines together words, sounds, pictures, animations and music. Learners can study while seeing, listening, speaking and writing. It provides a comprehensive and pleasant studying environment. Starting from phonetics, and progressing step by step, it fits beginners for self-study, especially for those engaged in business. It enables the learners to communicate in Chinese in a short period of time. This multimedia software is intended for Chinese learners in English speaking countries. Applying the most advanced technology, it combines together words, sounds, pictures, animations and music. Learners can study while seeing, listening, speaking and writing. This material is interactive and full of fun. This order includes 1 CDROM (+mp3), 2 CDs and 1 book.